After the tragic events in the past months have been unfolding in front of our very eyes, many have asked us what they, as individuals, can do to help. Although refugee arrivals to Malta have not been as dramatic as in other parts of Europe, there is still a significant number of individuals and families that is in dire need of our help. There are several NGOs working directly with refugees and asylum-seekers, providing various forms of support: material, social, legal, educational, psycho-social, medical. Some are also active in advocating with the authorities for better protection and human rights enjoyment. aditus foundation: aditus foundation is an independent, voluntary and non-profit NGO established with a view to monitor, act and report on access to fundamental human rights. It also offers legal aid services to refugees and asylum seekers. 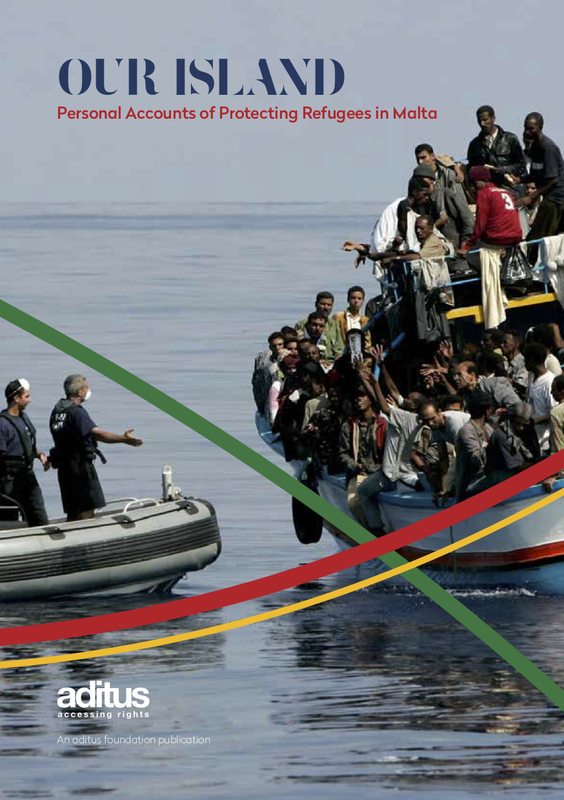 African Media Association Malta: A new NGO (2014) composed of African journalists in Malta using their professional skills to help migrants to learn about living in Malta and effective integration. Foundation for Shelter and Support to Migrants: FSM believes in providing for the welfare and development of communities, and in pioneering the growth of cultural diversity and cross cultural bridge building. Integra Foundation: Integra’s vision is that of supporting inclusive, non-discriminating and non-disabling societies, where all individuals have the right to human dignity, freedom, respect and social justice. JRS Malta: JRS Malta seeks to accompany, serve and defend the rights of asylum-seekers and forcibly displaced persons who arrive in Malta. KOPIN: KOPIN is a voluntary, autonomous, non-profit and non-governmental organisation based in Malta working in the fields of international development cooperation, development education and refugee support. Malta Emigrants’ Commission: Emigrants’ Commission services cover all those affected by migration including immigrants and refugees. Migrants’ Network for Equality: This network has the aim of bringing together the various migrant communities present in Malta. Migrant Women Association: This new Association is committed towards empowering migrant women to enable their integration within the society of the host country in order to attain their full potential. Organisation for Friendship in Diversity: OFD is a youth-led non-profit organisation working in the field of inclusion and diversity to promote the values of cultural understanding, respect, communication and friendship in order to challenge social stigmas in Malta today. Peace Lab: Peace Labs runs an extensive adult education programme through various radio programmes and newspapers. Since 2002, the Peace Lab has hosted migrants in its grounds. People for Change Foundation: PFC conducts on-the-ground legal and policy research in Malta in the fields of migration, asylum and racism in the European Union. It also worsk in the areas of children’s rights and development and humanitarian aid. SOS Malta: SOS Malta is a non-governmental organisation working in Malta and overseas, it assists all peoples through projects of a social and charitable nature. Although not an NGO, Malta Microfinance Limited is a regulated non-profit financial institution that provides interest-free credit and microloans to people living in poverty in Malta, particularly migrants and women. Simply contact an NGO by sending an email or following them on social media in order to show support and be kept informed of any items that are needed. It is however not advisable to handover your broken or soiled items to refugees, so please be sure to liaise with the organisation before considering a donation. In addition, the NGOs themselves could be in need of various items such as computers, printers and other office equipment, and furniture as these are indispensable but costly items to purchase. Contact an NGO if you have any items that can be donated! Anyone can volunteer. Offer some of your time to provide support in language lessons, administration, accounting, legal services, fundraising, mentoring or simply your man hours. Contact an NGO to see how you can be of use. Smile to a refugee! Too often refugees face angry or rude comments. Making them feel welcome will encourage them to integrate. And it’s just a nice thing to do! Expect more from the Maltese Government! Human rights are to be enjoyed by everyone, not least by migrants and refugees. Spread this message amongst friends, family and colleagues.